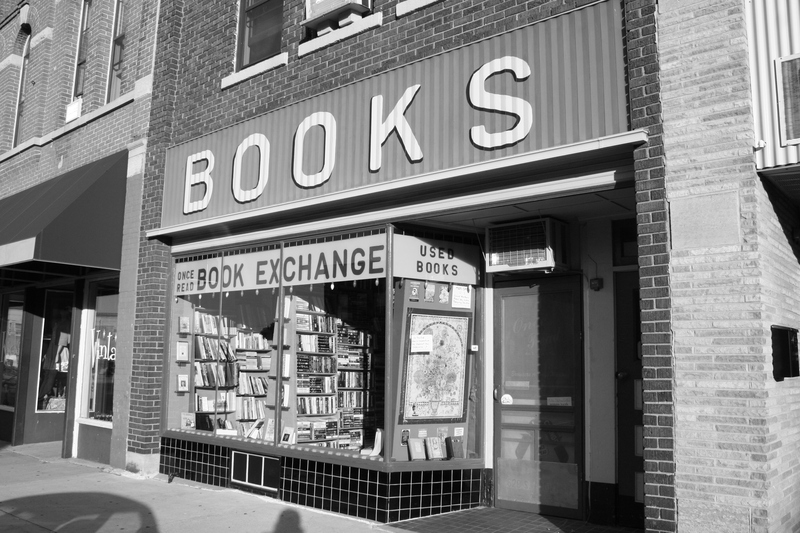 Used bookstore, Mankato, Minn. Photo by author. I spent a couple of delightful hours at the office of the University of Minnesota Press today. I personally delivered my corrections to the galley pages, plus I spent some time talking to my editor and the publicity/marketing team. It’s exciting to see all the places my book will go! Now, if only I could get all the media to profile my book…lol! I also talked with Erik, who handles sales for the Press. I told him I get this question a lot: “How can I buy your book in the way that will benefit you the most?” First, that’s a question I’m so grateful for–I appreciate friends and family who want to know if there’s a way to buy the book that will maximize the rewards for me. After talking to Erik, I realize there is a great way for people to buy books that can help all authors they care about. Booksellers like to see what books are doing well in their stores. If five or 10 people request We’ll Be the Last Ones to Let You Down, the bookseller might say to himself or herself, “Hmmmm, there’s a lot of interest in this book. I better order more copies. And maybe I will check it out myself. It might be something I can recommend to other customers.” Buying the book in a bookstore, where people can see what you’re buying, could possibly result in a snowball effect in which more copies are ordered and eventually sold. You can buy a book online, but the transaction is not transparent. Only you and the faceless transaction system knows that you bought the book. You can certainly order pre-copies of my book now on BN.com or Amazon. Every order is wonderful and great, that’s for sure! But if you have the option to walk into your local bookstore and tell someone in person that you want to order the book, that would be even better. I, for one, will change the way that I order books. I have always relied pretty heavily on BN.com. But now if I want to support a local author or an author I know, I’m going to request a book in person to hopefully generate some buzz within that bookstore. I also encourage people to support their independent bookstores if their communities have one. If you are unsure, check out the indie store locator on IndieBound.com. Great post, Rachael! I love your last two sentences! !